Postanite dio 3. generacije polaznika DN-a i uvjerite se u kvalitetu tehnike i predavača! 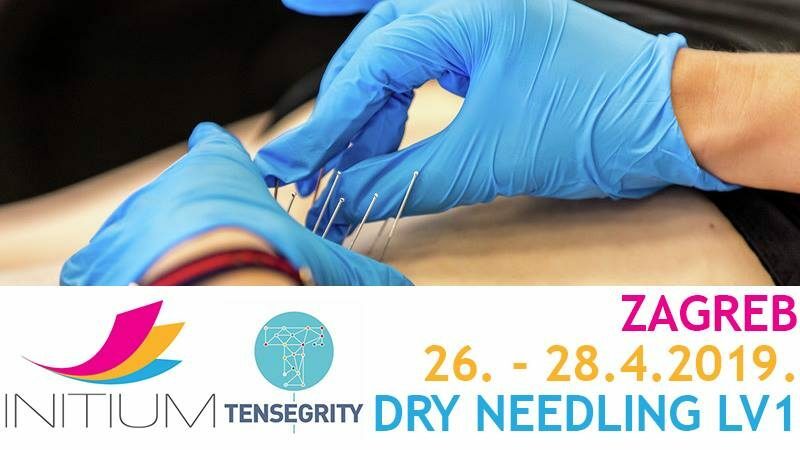 Dry needling (tehnika ”suhih igala”) ili DN je stručna intervencija koja koristi tanku filiformnu iglu koja prodire u kožu i stimulira potkožne miofascijalne trigger točke, mišićna i vezivna tkiva za olakšavanje neuromuskularnih bolova i ispravljanje krivih obrazaca kretanja. The aim of the course is to teach you how safely and effectively use needles in treatment. It will cover the use of DN techniques in trigger points, myofascial pain syndromes and its use in musculoskeletal injuries and disorders. The course is open to physios, osteopaths and medical doctors and is planned for 2 modules, 2 days each. On level 1 we will cover most of the theory including: history, differences with acupuncture, safety issues, muscle dysfunctions etc. After you understand how it works we will go into practice and that will be 90% of the training. The most important is to learn how to do it safely so beside contraindications, we need to make sure about clean and safe needling technique. We will pay a lot attention to palpation anatomy in each presentation. We will start with SDN (Superficial Dry Needling) and some safe and easier to treat muscles. As you get more confident we will progress into more difficult ones. First module will allow you start working with DN the next day after the course in your clinic. After some practice you might have some questions and be ready for new, more difficult muscles. We will do that on level II where beside learning new muscles we will needle connective tissue and cover also some clinical applications in most common problems. 2. Can we call it Acupuncture? 3. Munich Consensus Statement – muscle dysfunction, injury? Runs his own practice in Szczecin – Reha-Team. Since 2014 works as lecturer at the Pomeranian Medical University where he teaches: palpation anatomy, diagnostics and manual therapy. Has worked with polish best pole vaulter – Piotr Lisek, European Indoor Champion and silver medal at the 2017 World Championship. Completed Medical Acupuncture course in London and for over year worked as translator and assistant of Craig Smith from Republic of South Africa on Dry Needling courses in Poland. Assisted in teaching over 300 physios. After that became teacher himself and by now has taught on over 40 dry needling courses with over 500 physios and MD’s trained.